Phil and I were teamed together to provide a lab presentation on evaluation of the athlete’s hip at Team Concept Conference in Las Vegas, NV. We figured that it would be fun to sit down and chat for an hour about the role of research and some of the different philosophies in physical therapy. 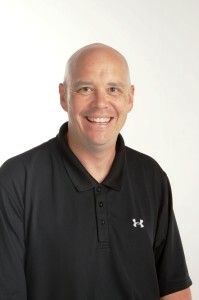 Phil has spent the past 14 years as the Director of Education and Research for Performance Health. You may know Performance Health better as the maker of such products as TheraBand and Biofreeze. He is also the author of Assessment and Treatment of Muscle Imbalances: The Janda Approach. You can check out his website at DrPhilPage.com and learn about Janda at JandaApproach.com. You can buy his textbook on Amazon by clicking here. Check out his Twitter feed @drphilpage.